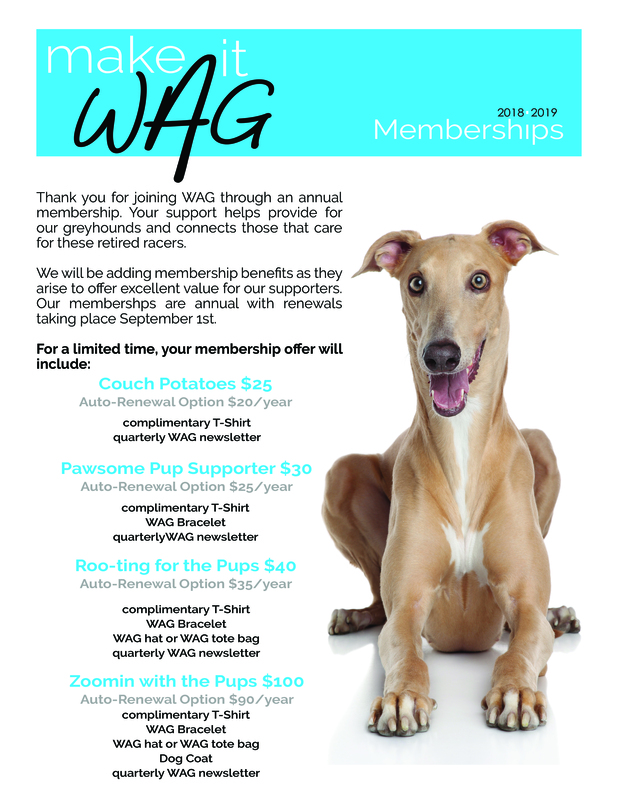 Wag Membership – We Adopt Greyhounds, Inc. 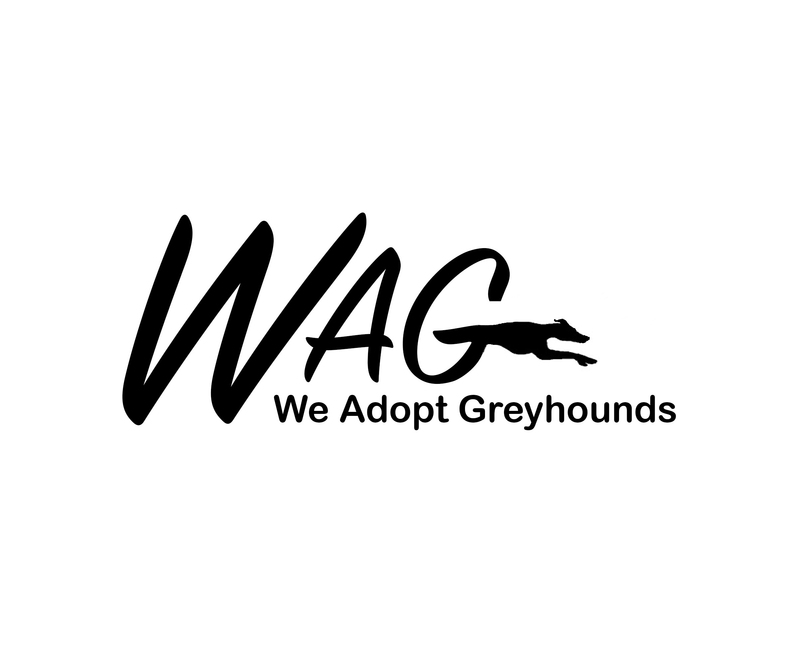 Your support helps provide for our greyhounds and connects those that care for these retired racers. We will be adding membership benefits as they arise to offer to supporters. Our memberships are annual with renewals taking place September 1st.